evangelism | Rick Washburn, Jr.
After having some technical difficulties, we now have available the concluding message in my series How Jesus Loved People. Be sure to sign up for the RSS feed or e-mail notification of this blog so that you don’t miss any posts. Please feel free to share any comments in the space below. Social Media: The New “Agora”? If you study the first missionary movement in the New Testament, you will find the Apostle Paul traveling through Asia, then into Europe (modern-day Greece), engaging lost, pagan societies with the Gospel of Jesus Christ. Though he often would first show up at the Jewish synagogues to engage His countrymen with the witness of the resurrected Messiah, as Paul ministered to an increasingly Gentile society, he would spend considerable time engaging with people in the local agoras. In ancient Greek towns and cities, the agora was more than just a marketplace. It was usually a natural, open space near the entrance to the acropolis, where the public would gather for social, political, and commercial business. This was perhaps similar to the plazas that are found in virtually every town in Latin America. 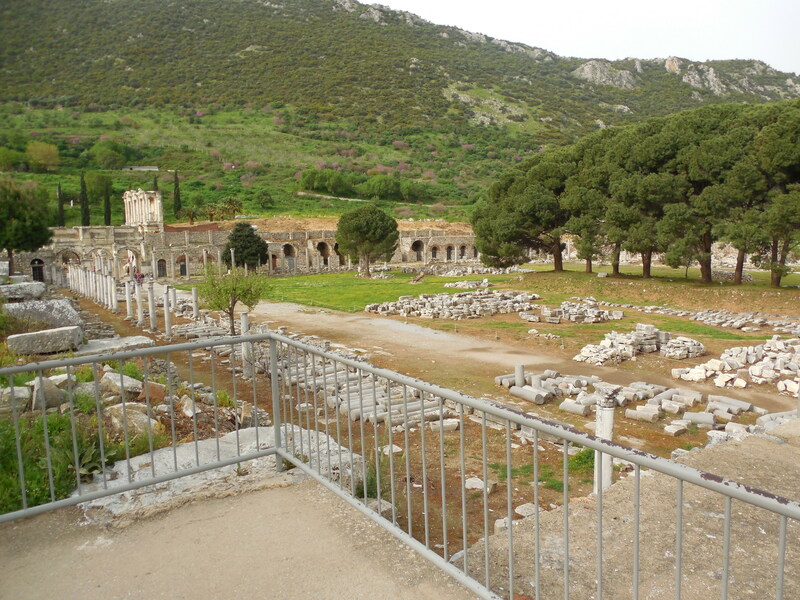 The agora would be where vendors would set up shop, as Paul did when he sold tents in Corinth (Acts 18:1-3). It was where philosophers and thinkers would debate ideas, as occurred prominently in Athens (Acts 17:17). Even if you travel to Ancient Ephesus (modern-day Turkey), you will see, among the city ruins, a vast, open, rectangular area, which was the agora of the day. The Apostle Paul and his missionary team spent time there, even in the lead up to the famous confrontation with Demetrius and the worshipers of the Temple of Diana (Acts 19). In Phillipi, Paul and Silas were taken to the agora to face the rulers and to answer their accusers (Acts 16:19). Why was this the place of choice? It was where society gathered. It was where people met. It was where conversations, debates, and discussions of all kinds took place. It was where Paul could engage the lost and build relationships and conversations that would open doors to speak of Jesus and the Resurrection. If you want to reach people, you go to where they are, where they hang out, where they share their ideas and beliefs. I believe that in today’s society, social media is becoming the new agora. Yes, people still physically meet at sports arenas, city parks, and fitness centers. But where are people gathering by the millions to share their thoughts, opinions, and daily life? Facebook, Twitter, Instagram, and a growing list of digital applications. How are they connecting? On desktop and laptop computers, but more so on smartphones, tablets, and portable media devices. As mundane as it may be at times, that is how today’s generations are seeking to connect. We can dismiss it as a passing fad, or as superficial and shallow, but the reality is, that is where people are. If we are serious about engaging people (in greater numbers than was ever possible before), we have to go where they are. We have to build and join conversations and interactions. It may not be our personal preference, but the conversations, discussions, and interactions are going to go on with or without you. As ministers of the Gospel and servants of Jesus, vocational or volunteer, let me challenge you to be like Paul in his day. Yes, be a part of the religious gatherings on the Lord’s day and whenever people are congregating for corporate worship. But outside of those times, go to the agoras, start conversations, build relationships, point people to Jesus.